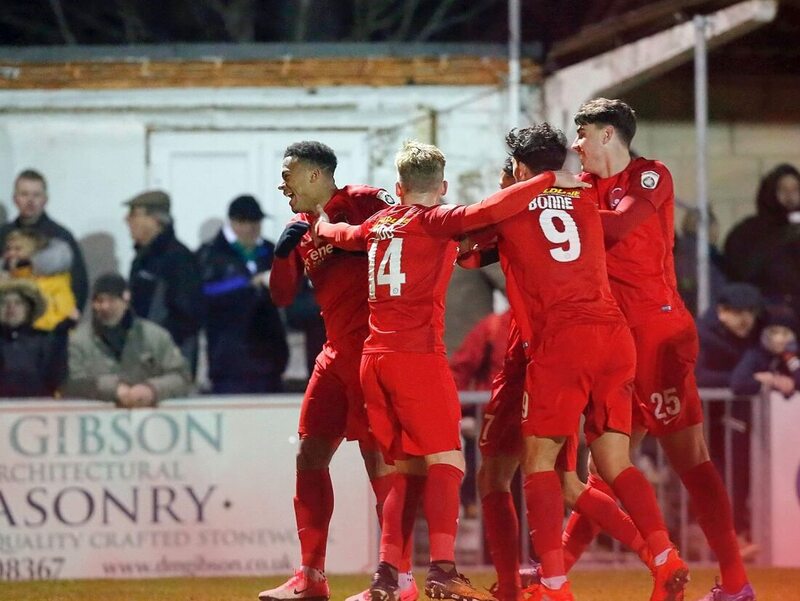 A wonder goal from substitute Josh Koroma half way through extra time gave Leyton Orient an FA Trophy victory down in Sussex against a plucky Bognor Regis team. 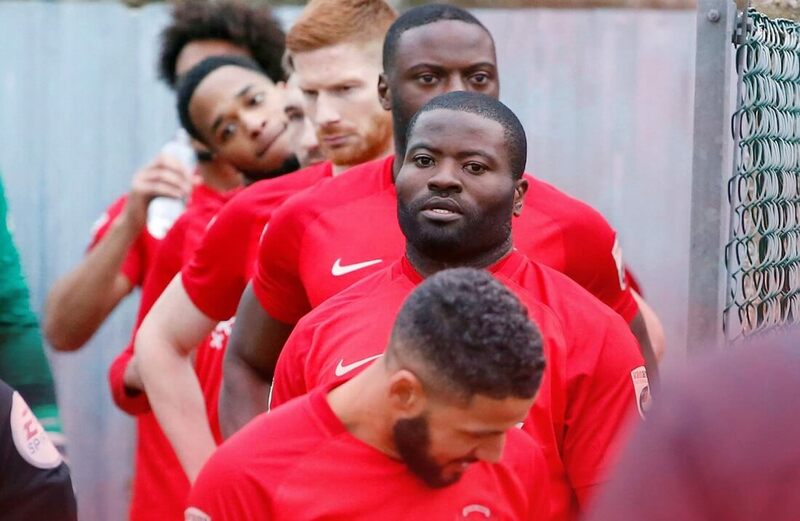 In Orient’s first ever outing in the competition the Londoners were expected to win fairly comfortably against a Bognor Regis team struggling in the National League South. However despite going down to ten men after French midfielder Richard Gilot was sent off for the home team on the hour the Sussex team refused to lay down and die and gave the Londoners plenty to think about in a tough contest where both teams were taking no prisoners to the delight of a large crowd by the seaside. Jimmy Muitt scored a fantastic goal from 25 yards in the last minute to equalise for Bognor after Macauley Bonne had given the visitors the lead and take the game into extra time. However a smashing strike from distance by Josh Koroma ensured Orient go into the hat for the next round of the FA Trophy with manager Justin Edinburgh talking of winning the competition. Orient had looked to have won it inside the 90 minutes when Macauley Bonne glanced in a close-range header with eight minutes left, only for Muitt to send the home fans loopy with a 25 yard missile that arrowed into the top corner with a minute left. Sub Josh Koroma broke battling Bognor’s hearts by restoring the Londoners’ lead just before the midway point of the extra 30 minutes. Bognor sprang a surprise by naming new French midfielder Richard Gilot in the starting line-up. Gilot came in for Ben Swallow, who was starting a three-match ban after his red card against Havant on New Year’s Day but it backfired for the hosts as Gilot himself was shown the red card. Bognor started well although it was end to end stuff and a decent spell of possession saw Harvey Whyte cross from the left and Orient had to clear it for a corner. Calvin Davies’ high ball down the right put Ibra Sekajja in with a sight of goal and his thunderous volley was brilliantly saved by Brill. An evenly matched first half saw the game goalless. The first action of the second half saw Bognor threaten as Sekajja’s shot hit the side netting. However, the game changed on 59 minutes as Gilot was sent off as he brought down Orient full-back Jake Cappice as he advanced towards the area and it was a clear yellow, his second of the afternoon. Orient attacked and Harrold’s header at the far post brought a superb reaction save from Lincoln. Bonne had the ball in the net in the 73rd minute but the offside flag was up as the striker slid in Cappice’s ball in from the right. Davies shot from a free kick looked to be going in but a fine smart save by Brill just did enough to thwart the lurking Sekajja. With just eight minutes of the 90 left, Leyton Orient finally got the breakthrough. A right-sided corner wasn’t cleared by the Bognor defence and finally it fell to Bonne to glance in a header from a couple of yards out. The Rocks were level with one minute to go. Orient gave possession to Bognor in the visitors’ half and a short pass was played to Muitt 25 yards from goal and he pile drove the sweetest of strikes that flew beyond the diving Brill and into the very top corner of the goal, sparking crazy scenes all around the ground before the ref blew for extra time. Immediately Cappice’s shot appeared to be tipped on to the post by Lincoln before Reynolds blasted the rebound over the bar. Reynolds missed another chance as Orient began to look the stronger side towards the end of the first half of extra-time. Sure enough their second goal arrived when another corner was cleared to sub Koroma who, from around 25 yards, curled a beauty beyond Lincoln and into the top corner. Orient somehow failed to score a killer third in a breakaway when they had two men up to one defender – Lincoln twice making brilliant saves to keep them out. With time ticking away in the second half the wasteful Reynolds blasted another chance over the bar before the whistle went to signal an Orient win.